Led by WFSS Country Directors AJ Agok and Lion Thiep, the 2018 season was a success by all accounts. WFSS drilled 40 new wells, rehabilitated 28 older wells, and provided hygiene training to 68 villages. In addition, WFSS completed its first sanitation project – building latrines at the Zogolona Primary School in Wau. Before the well was drilled and the latrines were built children would often miss lessons because they had to walk 30 minutes or more to find water to drink and to relieve themselves in the bush. 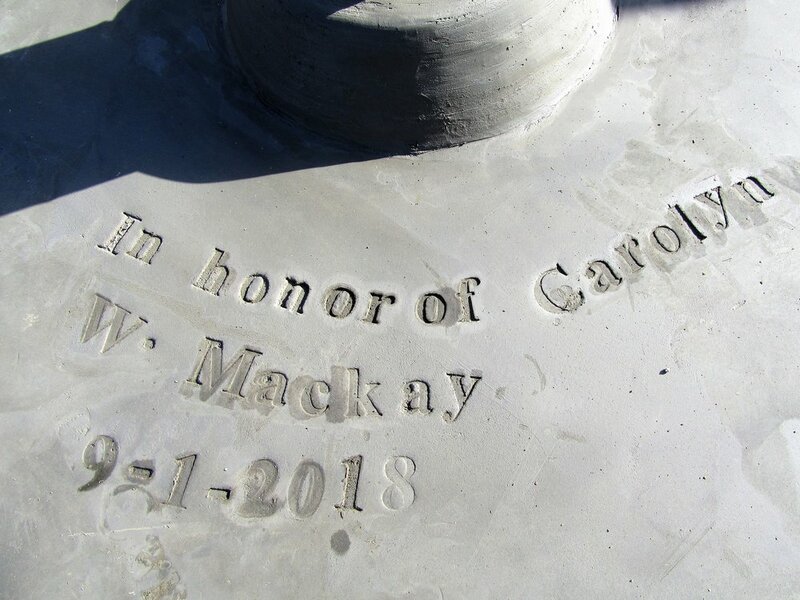 This well in honor of Carolyn Mackay was one of 40 new wells drilled this season. Even clean water from a well can become contaminated with poor hygiene habits. This season WFSS provided hygiene education in 68 villages. The WFSS rehab team traveled to 28 older wells to rebuild and upgrade the cement platforms around the wells. This ensures that the wells are sustainable and will continue to provide water for years to come. 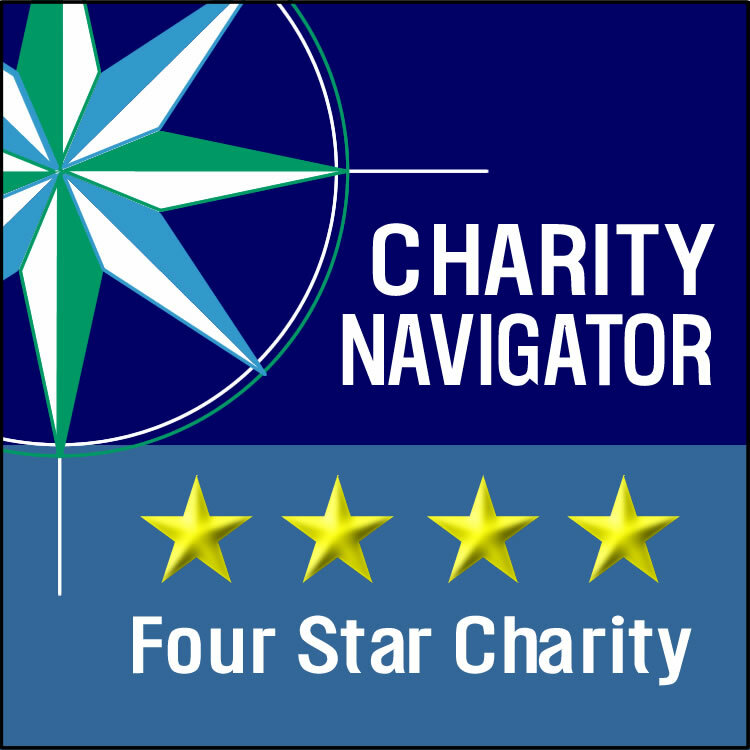 The UPDP is a collaborative effort with Omaha, Nebraska based nonprofit Aqua-Africa. 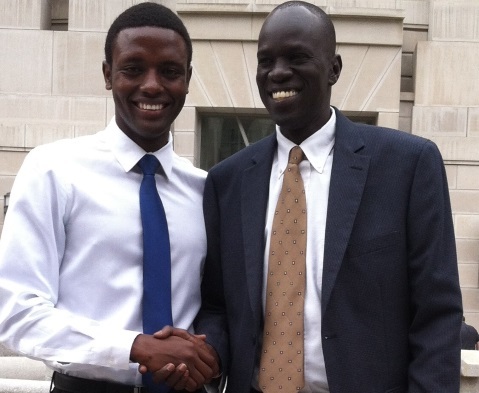 Aqua-Africa founder Buey Ray Tut is Nuer and WFSS founder Salva Dut is Dinka. Nuer and Dinka are the two major tribes in South Sudan and have a history of conflict. 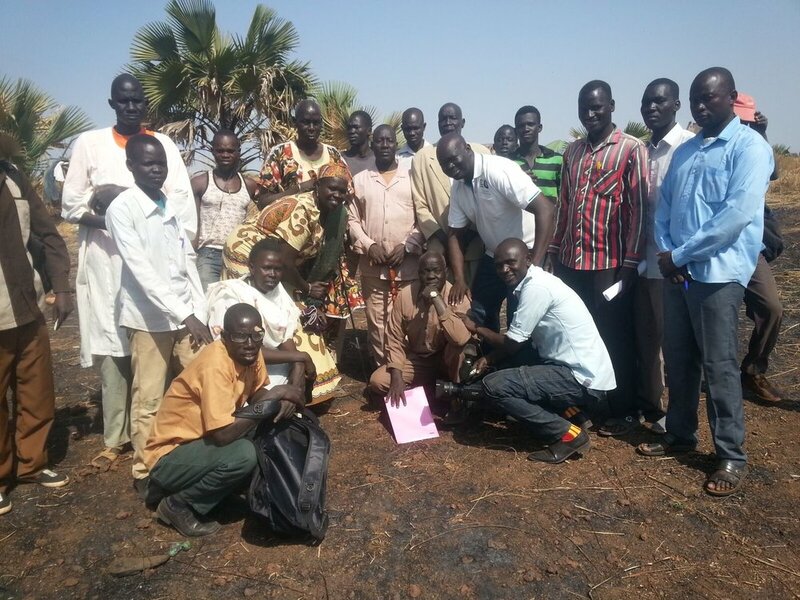 Jointly, Salva and Buey are drilling wells in villages, both Dinka and Nuer, to show that the two tribes can work together for the advancement of the country. 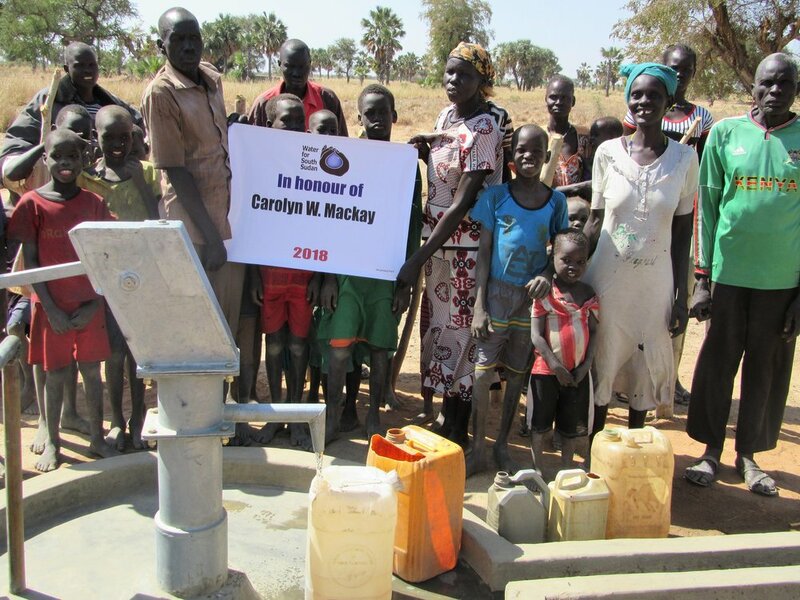 The UPDP has completed 14 new wells and a water storage project.